Four of the world’s most famous star rubies (the rarest type of rubies), discovered just outside of Asheville, NC, are now on sale to the highest bidder (estimated to be worth over $90 million). 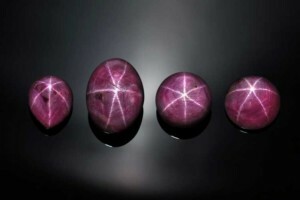 The stones were originally discovered by Jarvis Wayne Messer of Buncombe County in 1990, and after being examined by the world’s top gemological testing labs, the 139-carat Appalachian Star was put on display at the Natural History Museum in London “where a record audience of 150,000 people viewed the ruby over a two week period. Shortly thereafter, the gentleman who found the stones passed away and the Collection was returned to his family where it has quietly resided ever since,” according to Guernseys. 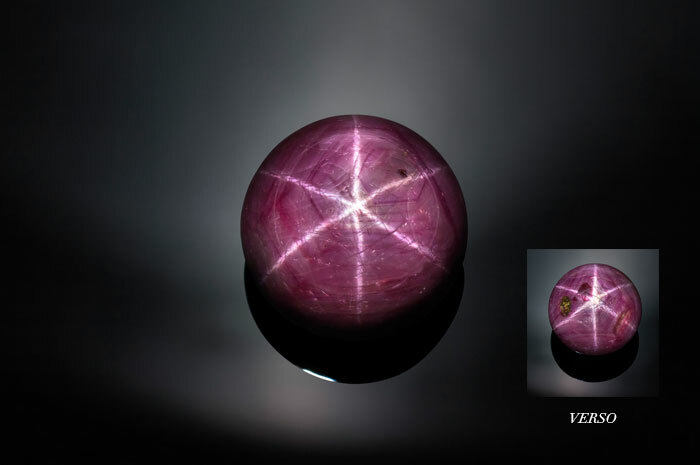 At 139.43 carats, it is larger than the Rosser Reeves Star Ruby displayed at the Smithsonian Institution’s Museum of Natural History. It is a 28.6mm x 21.7mm x 19.1mm oval cabochon with semi-translucent, brilliant deep red color. 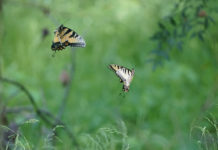 Its star is sharp, perfectly centered and well-defined, with very straight, unbroken rays. 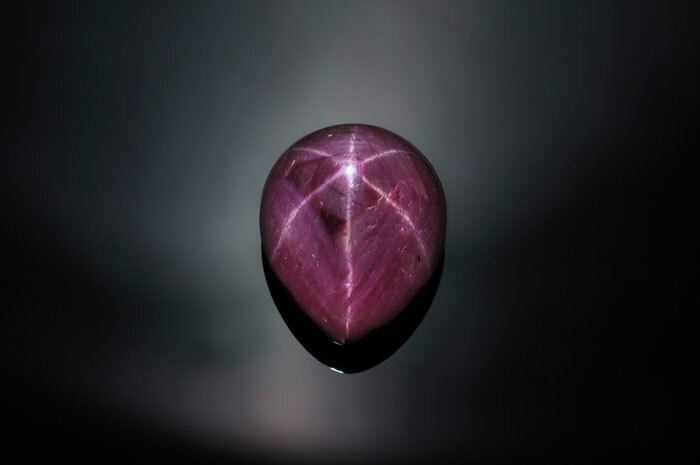 A beautiful 64.17 carat round cabochon, it’s also a medium deep-red. Its perfect star is sharp, centered and exceptionally well-defined. 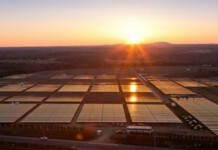 Its semi-translucency reveals a visible crystal structure. It measures 21.8mm in diameter and 12.8mm deep. This is an unusual pear-shaped cabochon weighing 52.37 carats and measuring 21.2mm long x 17.6mm wide x 13.4mm deep. 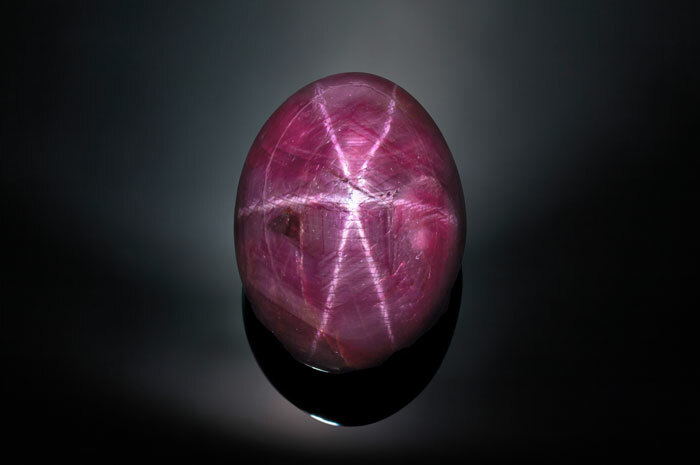 It is also a strong, rich, semi-translucent red with interesting slight color zoning in its crystal structure. Its star also exhibits exceptionally perfect asterism. 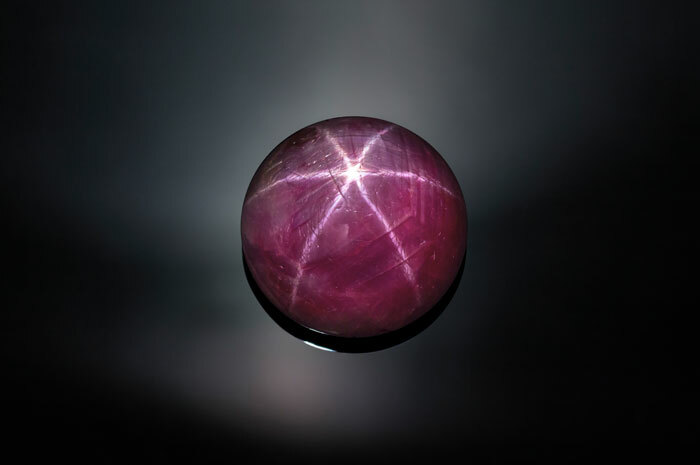 Star rubies are the rarest rubies, according to Guernsey’s, and they are among the most valuable types of colored gemstones in the world – rarer and more valuable than diamonds of comparable size. Other famous star rubies include the “Rosser Reeves Star Ruby” at 138.7 carats – now on display at the Smithsonian Institution in Washington, D.C., and the “De Long Star Ruby” at 100 carats – now on display at the American Museum of Natural History in New York. 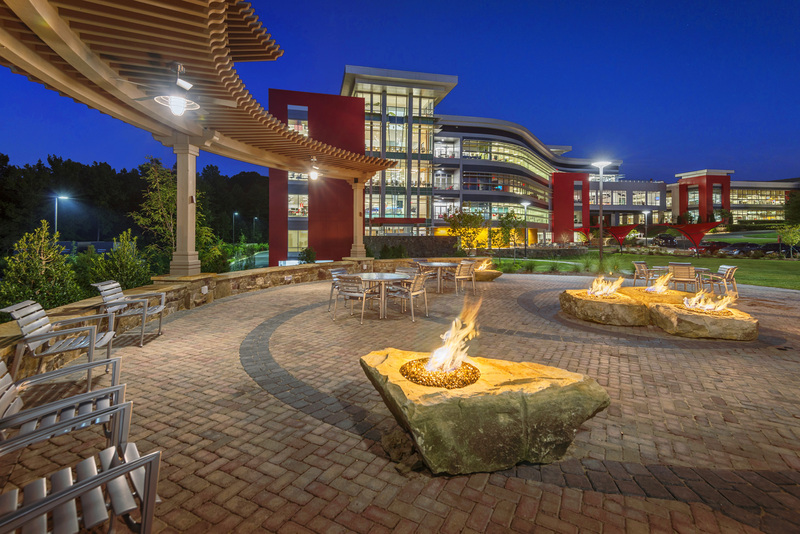 After unsuccessfully trying to sell the Mountain Star Ruby Collection for $100 million on their own for the past 10 years, the family recently contacted Guernsey’s, known for unusual sales including possessions of John F. Kennedy, Elvis, Rosa Parks and more. The auction house is currently marketing the collection for a privately negotiated sale before the official auction, which has not yet been scheduled as of April 6th.